Mencken Day 2015 falls on September 12, the date of Mr Mencken’s birth and will celebrated, as usual, at the Enoch Pratt Free Library, 400 Cathedral St, Baltimore, MD. Mr Mencken (Chuck Charlberg) will be there. The Pratt Library’s Mencken Memorial speaker (afternoon) will be David Thaler. The Society’s Darryl Hart will speak (morning) on “Respectfully Iconoclastic: H. L. Mencken’s Conflict with Christianity; or, What the New Atheists Could Learn from HLM”. 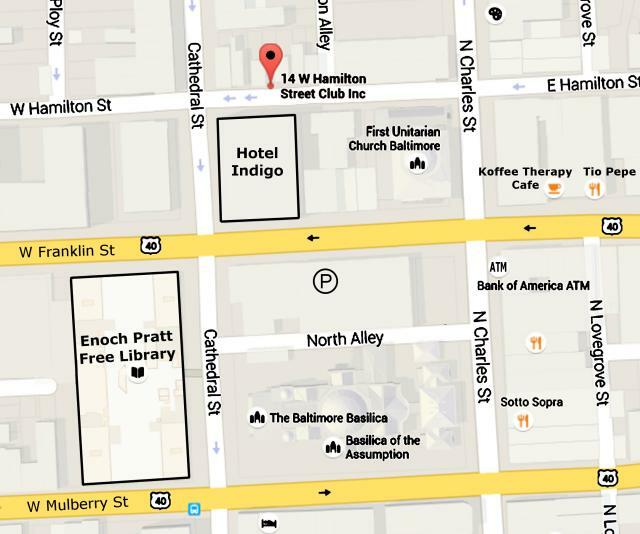 Out-of-town visitors may consider staying at The Hotel Indigo Baltimore–Mount Vernon (formerly the Mount Vernon Hotel) which is just around the corner from the Pratt Library. 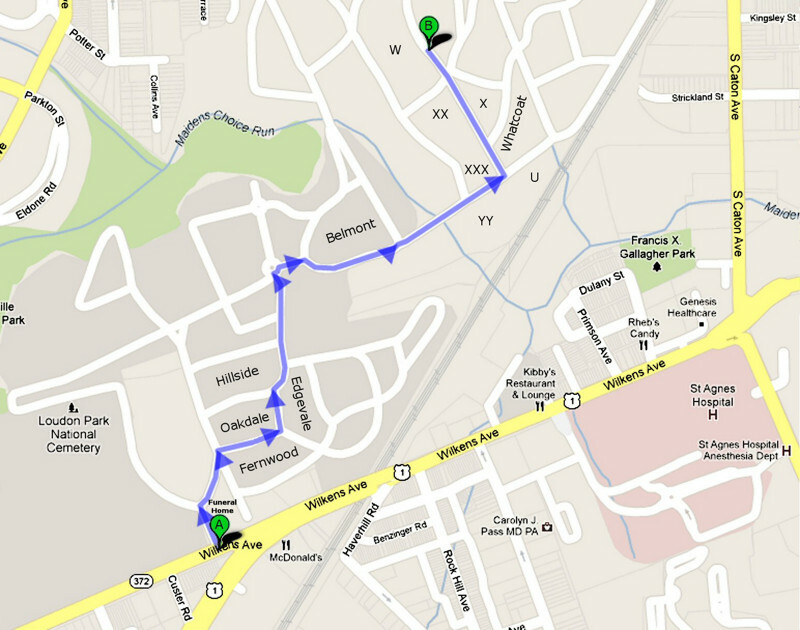 Where: Zion Lutheran Church, Gay and Lexington Streets. When: September 29, 2015 starting at 6:00 PM. Cost: $40 including dinner. Please make your check out to the Society for the History of the Germans in Maryland (SHGM) and sent it to Dr. Randy Donaldson, Modern Languages and Literature, Loyola University of Maryland, 4501 North Charles St, Baltimore, MD 21210-2699. PayPal accepted at Society for the History of the Germans In Maryland. Questions: call 443-542-2263 or email Nicholas Fessenden. The 10th Annual Service will be held Sunday, January 25, 2015 at 2:00 PM at the Mencken Family Grave site, Loudon Park Cemetery, 3620 Wilkens Avenue, Baltimore. Signs will point the way to the grave-site. After the brief memorial service attendees are invited, as usual, to the Spirits West Country Club, 2601 Wilkens Avenue. Mencken Day 2014 will be held September 13, 2014, at the Enoch Pratt Free Library, 400 Cathedral Street, Baltimore, MD. 10:30 AM: Mencken Society Annual Meeting with guest speaker Marion Elizabeth Rodgers. Marion’s latest book is H. L. Mencken: The Days Trilogy, Expanded Edition (The Library of America, 2014). Reception and book signing immediately following in the Poe Room. 10AM—5:00PM: The Mencken Room is open to the public. 6:00PM—9:00PM: Saturday Night Club (for Mencken Society Members only), 10 West Hamilton St. Problem: Your appetite for bratwurst and sauerbraten is getting sated but you still want to celebrate Oktoberfest. Solution: Enjoy a day of Mencken at the American Goethe Society of Washington, D.C. with an entertaining lecture (in English) by the renown Mencken scholar Marion Elizabeth Rodgers and a showing of the film Inherit the Wind (1960). We have no doubt that Mr Mencken would have approved of the fine not-your-usual-Oktoberfest-luncheon with Oktoberfest beer which will be served before the showing of the film. The Menckenian faithful may wish to re-read “The Hills of Zion” ( A Mencken Chrestomathy ). A worthwhile contrary view of the Scopes Trial is Mencken’s Mendacity at the Scopes Trial. Mencken Day 2013 will be held on September 7, 2013 at the Enoch Pratt Free Library, 400 Cathedral St, Baltimore, MD. 1:30 p.m. — The 2013 Mencken Memorial Lecture — “An Anatomy of Addiction: Sigmund Freud, William Halsted and the Miracle Drug Cocaine” by Dr. Howard Markel. Guest appearance by H. L. Mencken. Dr. Markel is the George E. Wantz Distinguished Professor of the History of Medicine and Director of the Center for the History of Medicine at the University of Michigan and a professor of psychiatry, public health, history and pediatrics. He has been a regular contributor for National Public Radio’s Science Friday. Dr. Markel’s most recent book is An Anatomy of Addiction . Of particular interest to Menckenphiles is his book, written with Frank A. Oski, The H. L. Mencken Baby Book . A reception and book signing will follow in the Poe Room. The Mencken Room is open to the public from 10 a.m. – 5 p.m.
Arthur J. Gutman was a collector of Menckeniana and a former Treasurer and President of the Mencken Society. Wine & cheese reception immediately following. Please consider making a voluntary contribution to the Bar Library’s Honorable Harry A. Cole Self-Help Center.